Full disclosure: I met Jeremy Gilbert at a Deleuze conference in Wales in the summer of 2008. He gave an interesting paper on Deleuze, Guattari, and Gramsci and I ended up talking to him at pub. The conversation was one of shared interests that went beyond Deleuze, it was a Deleuze conference after all, to include Simondon, transindividuality, and the broader problem of reimagining collectivity in individualistic (and individuated) times. As anyone in academia knows, the experience of meeting someone with shared interest is often ambivalent. There is the joy of finding someone to talk to, of feeling less alone in the wilds of academia, coupled with the sadness of feeling less original, less insightful. The latter feeling is of course intensified by a publishing culture that is predicated less on collective projects and more on developing a highly individuated name for oneself. In the years since then, as our projects progressed (his made it toprint first) we joked about constituting a new school of thought, Transindividual Ontology and Politics (TOP)? 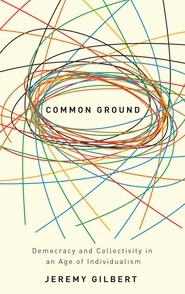 It seemed appropriate to begin a review of Common Ground: Democracy and Collectivity inan Age of Individualism with such a story, one that illustrates the way in which commonality of interests and ideas intersects with an institution geared towards individuation and competition. That we live in an “age of individualism” perhaps goes without saying. However, such a judgment raises as many questions as it answers. At what level are we to locate the individual? Is it, to borrow, words from Foucault, an “illusion,” an “ideological effect,” or a real functioning element of society? In short, are people deluded into seeing themselves as individuals, or is individuation a real material effect? Gilbert address this question from the outset by confronting the particular paradox of neoliberalism as a political project which attempts to realize an ideal of “individuals acting in terms of their own competitive interests” while simultaneously naturalizing that ideal at the level of not just theory but common sense. Competitive self-interest is asserted as areality while institutions are not just reorganized in its image, but activelyproduce it. To take the example above, think about how the casualization and precariatization of the academic job market makes it much less likely that people will be willing to share research, manuscripts, etc. Neoliberalism functions as a set of institutional and political transformations that compel people to adopt its worldview. The parents sending their children to a charter school in place of underfunded public schools, or the college student trying to figure out the best major to go into debt studying, may not believe in the ideal of competitive individuals, or market relations as the ideal model of social relations, but they are compelled to act as if they do just to survive. 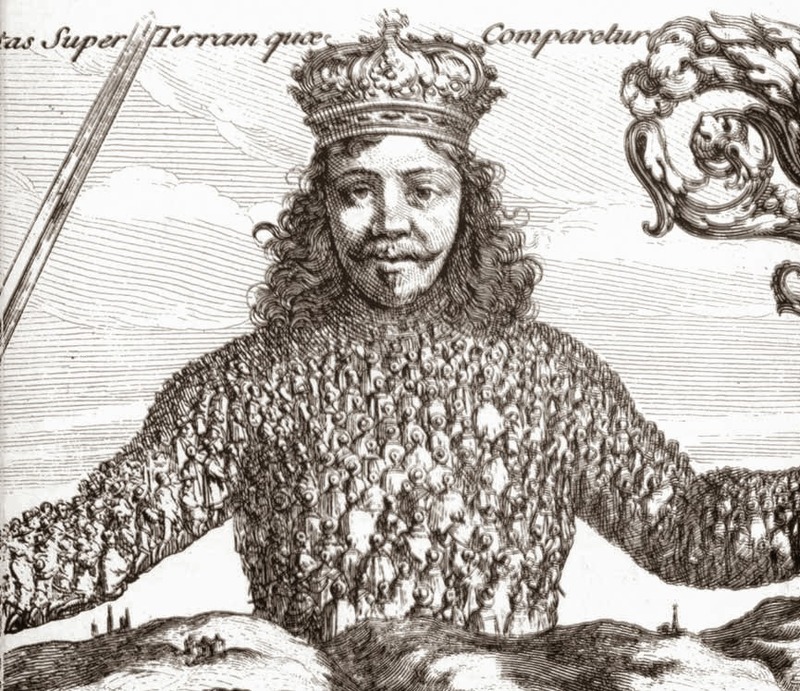 Neoliberalism destroys the conditions for collective action and collective decisions. Gilbert’s brief history of neoliberalism offers two significant qualifications of this standard paradox. First, he points out that as much as neoliberalism presents a society made up of isolated competitive relations as its ideal and goal, it required a “populist” political project at its inception. Thatcher’s imposition of neoliberalism was dependent upon an image of hard working and honest individuals who were being taken advantage of by unions and other special interests. One could pose the question as to whether or not this is always the case: if every appeal to market rationality is ever truly separable from populists divisions between the rational, competitive, and autonomous individuals who make up the nation and the various deviant and dependent collectives that distort it. Does neoliberalism market rationality require a nationalist, or even racist, supplement? The axioms of neoliberalism require not just the codes of nation, race, and gender, but a particular affective tenor of “negative solidarity,” a particular sense of being wronged by those who deemed non-rational and too collective in their orientation. Second, Gilbert argues that the political and economic project of neoliberalism reveals to what extent prior economic projects were political (and vice versa). On this reading Fordism is not just a technological reorganization of production, or an economic reorganization of accumulation, but the material conditions of a “culture of shared experience and collective agency” that made possible a certain ideal of democracy. Gilbert’s points on Fordism are not fleshed out, but through this point, as with the one above, there is the suggestion of moving beyond the division of politics and economics to engage their real intersection. I would like to conclude by picking up one of the themes from this final section, his critique of Hardt and Negri. The problem with Hardt and Negri is not that their concept of the multitude carries with it some remnant of leviathan logic. Hardt and Negri’s idea of the multitude is thoroughly horizontal, immanent, without any organizing figure or ideal of transcendence. The problem is that the ontological primacy of the multitude, or the common, is too easily taken as its political potency. As Gilbert writes, “if we look at twenty-first century, but see only the Internet, globalization, and the growth of great cosmopolitan cities—ignoring the socio-cultural consequences of neoliberalism and its success at inhibiting the growth of potent collectivities—then it is easy to be convinced that the communist millennium is near at hand.” This statement could be understood as another critique of Hardt and Negri’s optimism, but it raises questions of the ontology and politics of individuation. An expanded and corrected version of this review has published by The New Inquiry.